© Copyright 1998 by Ron Graff and Lambert Dolphin. Permission is granted for downloading and printing copies of personal use, church, Bible school or other classroom and discussion group uses. Not to be sold, reprinted, or distributed in printed or electronic format without permission of the authors. Quotations used in book reviews and articles may be used as long as the source is reference and the content not altered. 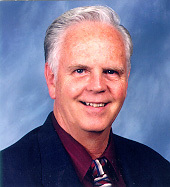 Ron Graff is Senior Pastor of the Alta Loma Brethren In Christ Church in Southern California. He is a graduate of Talbot Theological Seminary, and has been a pastor and an avid student of prophecy and world affairs for over 30 years. He was a pioneer in the field of educational computer software, producing the first commercially available educational products for microcomputers, starting in 1997, and including portions of Apple Computer's Educational Classics. He is the author of The Prophecy Puzzle, a Windows based "electronic book" complete with hypertext references. His primary interests are in the areas of family (married to Barbara - three grown children), evangelism, discipleship, eschatology, technology, and Israel. Lambert Dolphin is a graduate of San Diego State University and Stanford University where he pursued studies in physical, electrical engineering and mathematics. He retired early after 30 years in research physics at a large west coast think tank and went on to pursue Bible teaching, research and writing. After a long search through world religions and many years of restlessness about unanswered questions in life, Mr. Dolphin became a Christian in 1962. 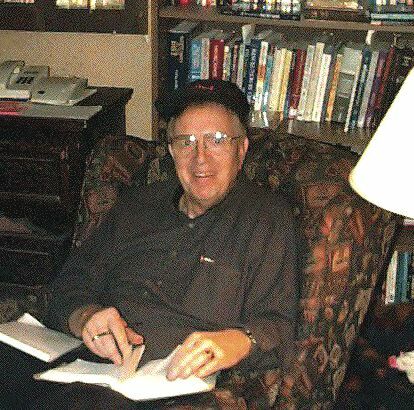 He studied under, and was greatly influenced, by the late pastor and Bible expositor Ray C. Stedman of Peninsula Bible Church in Palo Alto, California. For more than 25 years he has maintained an active interest in the Middle East and Israel and he travels in that region often. Lambert and Ron met over the Internet in 1997 and soon discovered they had a strong common interest in Biblical eschatology. Their evangelical beliefs seemed also to be in close harmony in all the important areas of sound Biblical interpretation so they joined forces to write this book. Both authors maintain active and popular Internet web sites dealing with Bible prophecy and other subjects. You are encouraged to visit these web sites and other recommended sites which are favorites of the authors for further information. The book has been written a straightforward style which presupposes that the reader will have some basic knowledge of the Bible and of Biblical terms. But the subject of Bible prophecy is actually very complex and detailed. We have therefore added a number of appendices for the serious student, for the pastor, or Bible teacher or individual student who may be seeking guidelines for further study. We deplore the constant flood of sensational "end of the world" prophecy books which only rehash the already familiar, hype up the uncertain news of recent world news, and warm-over old Bible predictions that seem to have never taken place as promised. The test of a prophet in the Old Testament was that all of his predictions must come true 100%, or else he was a false prophet and could be stoned to death. Were this rule applied today, we suspect there would be fewer, but better books dealing the future than now populate our book stores. We do not expect that all our readers will agree with us on all areas, but we hope to stimulate interest in the subject matter which is surely more important now than it has ever been. If the Apostles of the First Century considered the return of Jesus imminent in their time, then how much closer we must now be to that event. Acrobat Reader is free and may be downloaded. The spiral bound, printed copy of this book which was previously offered is no longer available. Sorry! The Gospel to all nations - "To the Jew first"
Those who are "in Christ"
K - Pretribulation or Prewrath? U - Do You Know Christ Personally?